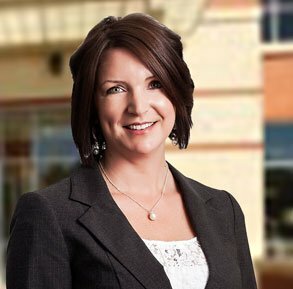 Susan Talbert is the Case Manager and Paralegal for the Eminent Domain and Land Condemnation Practice Group in the Raleigh office of CSH Law. Susan has been working in the legal industry since 2000, including serving as a civil case manager for the Honorable Terrence Boyle of the United States District Court for the Eastern District of North Carolina. Susan has 8 years of experience in the eminent domain and land condemnation area. As the Case Manager and Paralegal for this practice group, Susan serves as the main point of contact for most clients. She regularly provides clients with updates on their cases, answers (or finds answers to) clients’ questions, and explains the legal process for an eminent domain case. Susan has worked with the firm’s eminent domain attorneys on a wide variety of cases that include condemnation of all different types of properties and a variety of different uses. She has written on eminent domain topics including her most recent article titled “When This Land is ‘Not’ Your Land. What is Eminent Domain?” for the Paralegal Times. Her passion for her work stems from her passion to help her clients find the best solution to their problems. Susan graduated with a Bachelor of Science degree in criminal justice and political science from Old Dominion University in 1996. She became a North Carolina Certified Paralegal in 2006. She is a member of the North Carolina Bar Association Paralegal’s Division. In her free time Susan mostly enjoys spending time with her boyfriend Steve, and their son Ryan. She also loves anything that keeps her active and is an avid supporter of a variety of different charities including the National Multiple Sclerosis Society, Team Jean (supportive of ovarian and breast cancer awareness), and Anna’s Angels, an organization supportive of individuals with Down Syndrome.